This originally appeared in Against the Odds magazine #18, late 2006. This is my version rather than the text published in the magazine. The original Avalon Hill commercial wargames such as Tactics II, Afrika Corps, and Stalingrad provided complete information about the opponent's strength, goals, and location--the major uncertainty arose from combat. Risk and Diplomacy, dating from the same period, similarly provide complete information, except that in Diplomacy the movement is simultaneous, introducing a considerable element of uncertainty. Nowadays in most video games we have a variety of "fog of war" levels, as in general the nature of a computer game makes uncertainty the norm. Even if the manual tells you how combat is conducted, it may not be entirely clear what makes for success and failure. You rarely see the opponent's moves, unless the units are near your own. And you may not even know what the opponent's objective is. Unfortunately, this level of uncertainty is not easy to reproduce in boardgames, and some would argue that it isn't necessarily desirable. The major source of uncertainty in ANY multi-player game, of course, is the intentions of the players themselves. What I'm discussing here is uncertainty that's built into the game by the designer. "Block games", in which a player can see the strengths of his units on the back sides of the small blocks, but an opponent can only see the blank side indicating that a unit is present, but cannot know the type or strength of the unit until a battle occurs, are very popular in the hobby nowadays. They are, practically speaking, a development of Stratego (my original Stratego set actually used wooden blocks). While in this country we knew only Stratego until recently, in Britain there were several games using this principle. These games are quite old in origin, before World War One for the first (I strongly suspect this is the game from which Stratego is derived). The titles included L'Attaque, Dover Patrol, and Tri-tactics, and the publisher was H. P. Gibsons, as I recall. My own game Swords & Wizardry, also published by Gibsons, used the same method, but was more complex than Stratego and introduced a die roll into combat to increase uncertainty. der Ringe - Die Entscheidung" (Lord of the Rings--the Confrontation, I think). In block games we usually have uncertain strength, but not uncertain location. However, it is always possible to have a piece represent no units at all, should the designer prefer it. You can be faced with a long line of pieces, not knowing which might represent powerful forces, while others are decoys representing nothing. Unfortunately, the nature of any block game is that you can have only two opposing sides. It's very difficult to employ three sets of blocks such that the backsides of two sets are hidden from each opponent, and the problem is progressively worse when there are more players. About 40 years ago I owned a naval game, ordered through a comic book, from Helen of Toy Company that featured hidden strength in modified form. The hundred or so plastic ships had different forms, so that you could tell a cruiser from a destroyer from a submarine from a cargo ship; a cruiser could always defeat a destroyer, a battleship would always defeat a cruiser, and so on, but a strength number on the bottom of the ship determined which destroyer was strongest within the destroyers group and which cruiser was strongest amongst the cruisers. We could do the same in a Stratego-like block game if the blocks indicated which type of unit they represented. I designed a multi-player space wargame many years ago that used upside down pieces to conceal strength (and sometimes existence) of units from the other players. Block games use the four sides of the block (other than the front and back) to enable an individual unit to have varying strength. This is not possible in games that use upside down units; on the other hand, a piece in an upside down game can represent no force at all, or can represent a VERY powerful force. It is particularly good for representing ships (naval or space). While an individual ship is either at full strength or destroyed, a group can vary in strength, from one "scout" to four (or more) "dreadnoughts" in one piece. A drawback of upside down units is that the owning player cannot easily see what he's got. Some players strongly dislike the need to manipulate a pile of pieces to see what's there. Another drawback is the cost of coloring the backside of each piece. Hidden units, of course, had been used in other wargames long before I tried it. Sometimes it is implemented simply as "you can't look inside a stack of opposing pieces", sometimes as actually placing the pieces upside down. Another method is to use numbered counters or distinct figures, by some means hiding the units represented by each counter. Nowadays, you may have pieces that represent the location of units, and those units are represented by cards laid out in some manner. You don't actually have military unit pieces, just the cards themselves. And if those cards can represent several units, different types of units, or no units at all, you have a strong "fog of war" element. The hidden strength aspect can be taken further. Nathan Kilgore pointed me toward his game Iron Tide: Panzers in the Ardennes. It "has a built in semi-fog of war system using random chits for the combat strength. The fog of war aspect is strengthened by the inability of your opponent to inspect stacks and the hidden chits. Also, because of the complete random chits, the owning players don't even know the exact strengths of their own units until the first time they engage in combat." Entirely hidden location dates back to Kriegspiel chess (neither players sees the other player's pieces, referee required) and traditional Battleship (originally a graph-paper and pencil game, no referee required because there is no movement). Many computer conflict games (most real-time-strategy games, for example) use hidden location of all but nearby opponents. What can the enemy do? In some games this involves more than just unit locations and strengths. I suspect one of the attractions of the "card-driven" wargames is uncertainty about the opponent's capabilities, because you don't know what cards he has drawn. Hammer of the Scots, a popular block game, uses cards as well as blocks. Many of the "card-driven" games provide much of their detail and "chrome" (historical feel) via the various cards and what they allow the player to do, and what the player cannot do without the appropriate card. Jonathan Hager says "In Memoir '44, each player has a set of cards. Each player may even have a different number of cards indicating how prepared the forces were when engaged. During play, there is some uncertainty to where the player will attack next. A player must have the correct card in order to move units in a given area." The recently-published War of the Ring game uses special dice instead of cards to generate uncertainty about capability. Each dice face enables a different action by a player; players can see the dice rolls of the opponent, then play their actions one by one, but before the dice roll they cannot be sure what their opponent will be able to do, let alone when. Event cards are a popular way to represent uncertainty of capability. Does my opponent have a card that will increase his movement rate? Can he cause a plague in my homeland? Will he be able to counter my Famine card with his Good Weather card? Can he force a dynastic marriage alliance on me at an awkward juncture? And so on. In some sense simultaneous movement can be seen as representing uncertainty about enemy capability. Unfortunately, simultaneous movement either requires computer assistance, or a small number of pieces (as in Diplomacy, where a player starts with three or four pieces and wins at around eighteen). In a game I'm playtesting now I use a mechanically more practical approach to this. Each player has a standard set of Action Cards representing various sets of activities. He places five of the cards face down on a layout; then each player in turn plays the first card, and acts accordingly, until all #1 cards are played, then the second card is played, and so on. Each card offers the player a restricted set of choices--for example, you can't move fleets or armies when you play the "Trade" card. Brian Leet calls this "committed intent", and says Wallenstein and Roborally use similar methods. I have not played these games, but understand that choosing the cards in Roborally is a little like procedural computer programming. A problem with the block game Pacific Victory is that too much uncertainty is introduced, as all units look the same whether land, sea, or air. It's pretty unlikely in the real world that these unit types could be confused. Dice are the traditional method of introducing uncertainty into combat. Avalon Hill used the old D6 combat table. Other games such as Risk, Axis & Allies, and Britannia use a dice roll for some or all units involved in combat. In some games the cards govern what a player can do, but in others they affect combat. Germania uses "Battle Cards" instead of dice to introduce uncertainty in combat. Players have more control over what card they play than they would over dice rolls, sometimes knowing that a particular attack would be unwise because their hand of cards is poor, or knowing that they can try an even-strength attack because their cards are so good. 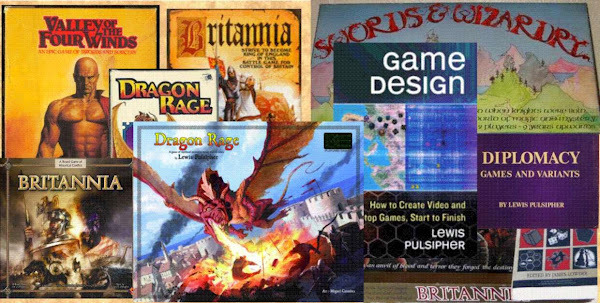 Some games such as Stratego or Diplomacy have no overt chance mechanism in combat, but guessing still comes into play at times owing to hidden strengths or simultaneous movement. Combat methods involving no uncertainty at all are common. Vinci and History of the World use them, for example. It is also possible to devise a "combat table" that extracts losses exactly in proportion to forces (so, for example, in a 2-1 fight, the smaller side always loses twice as much as the stronger side). Simpler and more "classical" games often completely avoid uncertainty in combat. Chess, checkers, Go, all do this (and in fact avoid all elements of uncertainty other than intentions of the opponent). This absolute certainty in combat is not usually what historical gamers are looking for, though it is popular in Euro-style games. In fact, you could make a case that one impetus toward Euro-style games has been dislike of dice-rolling in conflicts. One of the biggest problems of historical wargames is that most players know when some major event occurred that made a big difference in the outcome of a battle or campaign. For example, when playing a game about the ancient Near East, you know when the Hittites or Persians appeared. In Britannia, everyone knows that, in Turn 6, the Saxons are going to swarm into Britain in a major invasion; and players prepare for it. This is a tough nut to crack, and forces a designer away from simulation toward representation if he wants to reintroduce uncertainty. For example, in a Near Eastern game I'm working on players roll a die to determine whether an historical group appears or not. In the turn before it actually appeared in history, a roll of a 1 or a 2 causes the group to appear early. In the turn of actual appearance, a 1 through 4 will do it (if it didn't appear in the previous turn). In the turn after historical appearance, the group will certainly show up. Then we have something that can make for a better game, but is less true to the details of history (though arguably it is truer to the spirit of history . . .). Event cards can introduce uncertainty of timing. Cards may require certain conditions to be met before they're played, but until someone plays the card, the "Big Event" does not occur. In War of the Ring, it's likely that some events of great advantage to one side or the other will occur during the game, but not until the appropriate card is played. In some "sweep of history" games uncertainty can be introduced at the end of the game without detriment to historical fact. Multiplayer games that don't include uncertainty about the timing of the end of the game can suffer from "ganging up on the leader" and bizarre moves, simply because players know the game is about to end (History of the World and Vinci can have this problem). I counter this by introducing a chance element (die roll) in the game ending. The roll needed varies with other conditions in the game, but in any case players can never be sure the game will end in a particular turn, and the roll comes after the turn is over. This tends to eliminate the end-of-game shenanigans that are often so unlike historical reality. Often in wargames, if there are any forces not directly controlled by players ("neutrals"), they are usually completely passive. In other words, players face no uncertainty about the actions of neutrals. In Germania, some invasions come at set junctures, while others occur when appropriate Event cards are played. Players temporarily control the invaders, who are anything but passive; in some games there may be more invaders on the board than player pieces. Frequently there's a political dimension to non-player forces. Will they join the war or will they stay out? Often there are ways to introduce uncertainty to these questions. A draw from a deck of cards can be used to "control" non-players (this can even be seen as a form of programming), and if nothing else, a dice table can remove any certainty about what the non-player forces will do. Finally we come to uncertainty of objective. In war, you generally know the overall objective of your enemies, so the uncertainty is in how they're going to achieve it. But at times, especially in tactical as opposed to strategic situations, you may not even be sure of the objective. I don't recall seeing uncertainty of objective much in wargames. The obvious method to produce it is an "objective card" selected by each player (perhaps at random) at the start of the game. Another method is to offer several ways to win. Players can disguise which method they're actually pursuing, possibly introducing an element of surprise into the game. I once wrote a D&Dish tavern scenario in which each character, played by a player, chose a random objective. This was published in White Dwarf over 25 years ago and folks at conventions are still playing it, evidently enjoying the additional uncertainty. I suspect uncertainly of objective appears more often in Euro-style games than in wargames, frequently reflected through several ways to win the game. Opponents know what those ways are, but cannot know which way an individual player may be pursuing. Peter Riedlberger points out that versions of standard Risk for the past 20-some years have included "order" (objective) cards, something I've not seen as my Risk-playing days go back to the late 60s. These cards are included in the latest American edition. Unfortunately, he says, the objectives are not equally difficult to achieve. Torben Mogensen says that this imbalance relates to the number of players, as some objectives may be easier or harder to achieve depending on the number of participants Too bad the developers didn't have multiple objectives on the cards, one for each possible number of players, so that they could be properly balanced. Torben also points out that the family game Careers let players secretly choose to allocate his goals amongst three objectives (fame, happiness, and riches). I had forgotten all about this game (which originally appeared in the 1950s), one of the better family games I can recall, perhaps in part because of the hidden objectives. I am experimenting with a variation of this in Seas of Gold, in which players secretly allocate victory point weights to each of three objectives (territory, culture, and gold), or in which each player draws a card that secretly allocates weights for him. There certainly have been wargames that used uncertainty of objective. Peter Coles says this "was used brilliantly by WRG in a 1970s Naval wargame called 'Sea Strike'. Each side drew an envelope containing a card detailing force size (in points) and objective." I'm sure there are others. I'm told that GMT's Ardennes '44 has four different ways for the German player to win, all in effect. The German player practically can attempt only one, and must try to mislead the Allied player about which he is pursuing. Jonathan Hager says that in Memoir '44, "the overall objective is clear - obtain X medals. But how those medals are obtained could be by killing units, exiting the board (for some scenarios) or taking a critical location." Brian Leet suggests that Illuminati should be in the list, with one participant having a secret objective. And "'Shooting the Moon' in hearts is a classic example from traditional card play." It's worth pointing out that in most of the cases I've described, only the opponent is uncertain about something. But in a few cases (as in Iron Tide: Panzers in the Ardennes), neither player is certain. Is uncertainty a good thing? "Classical" game players prefer as little uncertainty as possible in their games (chess is an example), while "Romantic" players like a considerable level of uncertainty as it helps them pursue the "Great Play". Peter Riedlberger comments that "you can have an undesirably dense 'fog', to keep the metaphor. All Stratego-likes I know are mostly about bluffing. This can be fun, but is quite different to other, more tactical games." I wonder how much of good generalship in the real world is about bluffing; look what the Allies did in 1944, convincing the German high command that the Atlantic invasion would be at a location other than Normandy, even after the landings began . . .
Students of history know that real warfare can be a very uncertain activity. Amongst wargames, uncertainty is seen more in "simulations", less in "representations", and yet less in "semblance/theme" wargames. Looked at from another point of view, if you want a good game, the level of uncertainty must be kept in check, or in the end you have nothing more than a game of chance (as in traditional Battleship).